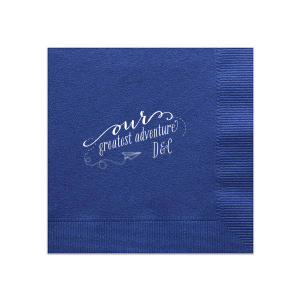 Complete your destination wedding meal design with custom destination wedding luncheon napkins! 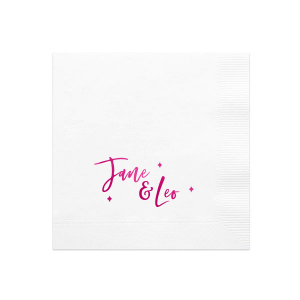 Create the perfect personalized destination wedding luncheon napkins to give your specially chosen venue the unique touch you've been dreaming in every detail. 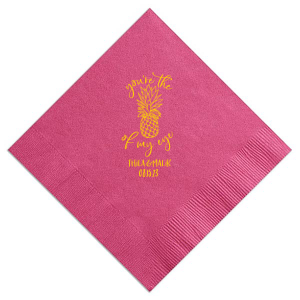 Give your exotic destination wedding reception a personalized touch with custom designed destination wedding luncheon napkins from For Your Party. 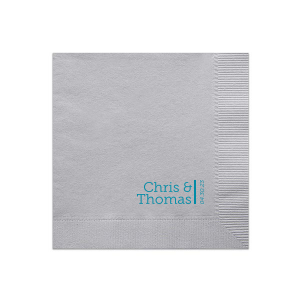 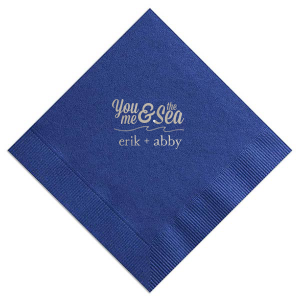 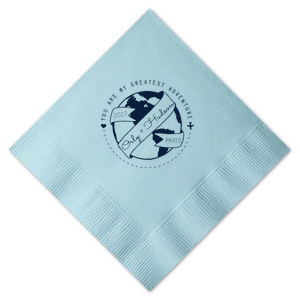 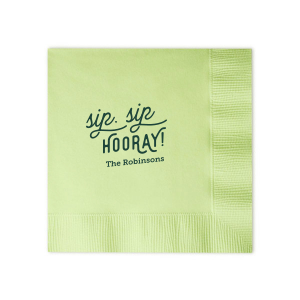 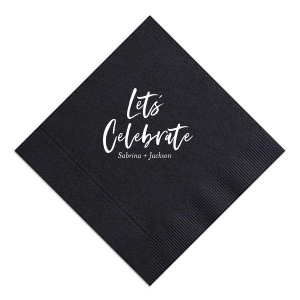 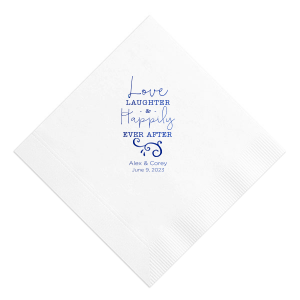 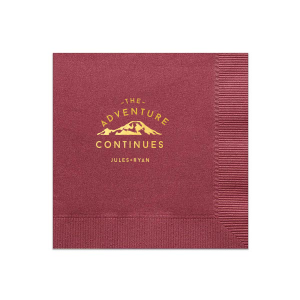 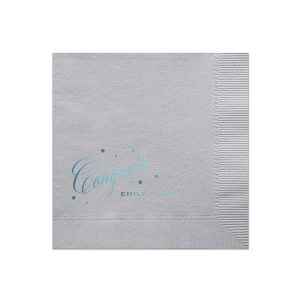 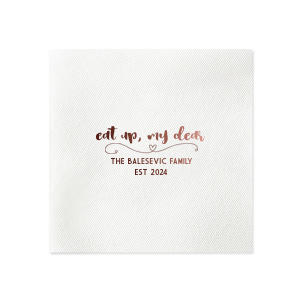 A great size napkin for a variety of events, your personalized destination wedding luncheon napkins are a perfect addition to your personalized wedding supplies! 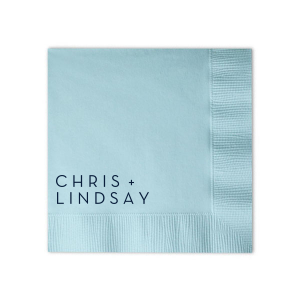 Nearly endless color combinations of napkin colors and foil stamping colors will ensure that you find a look that coordinates your custom designed destination wedding luncheon napkins with your wedding colorway. 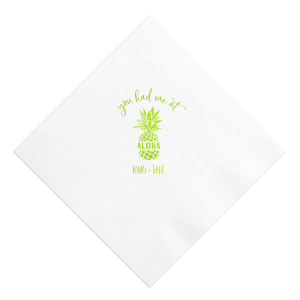 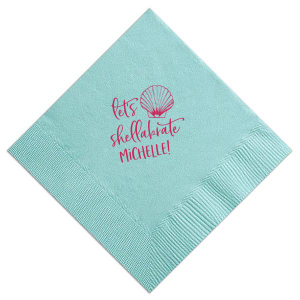 Browse our design idea galleries for inspiration, or upload your own design for completely one-of-a-kind personalized destination wedding luncheon napkins. 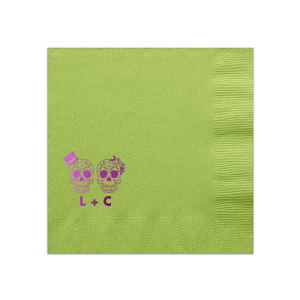 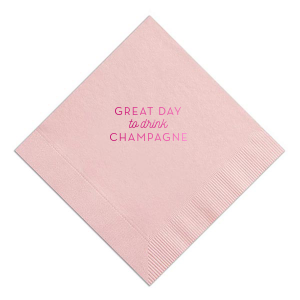 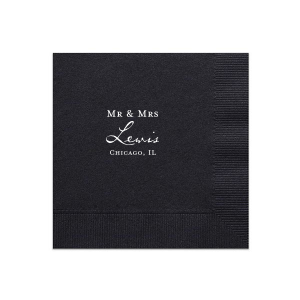 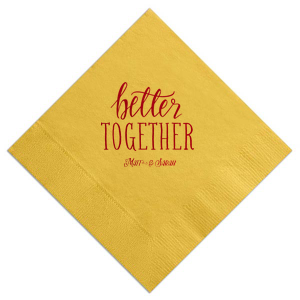 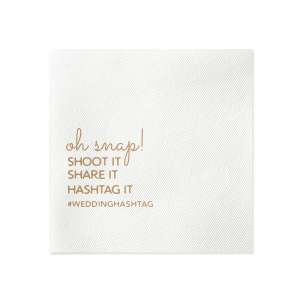 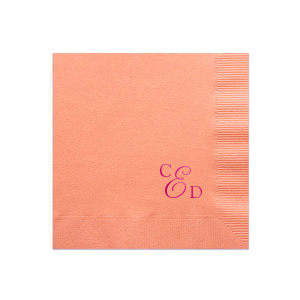 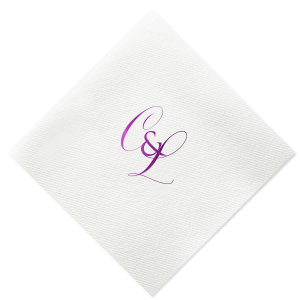 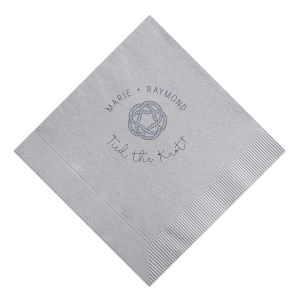 Create the perfect customized destination wedding luncheon napkins today!